After months of speculation, Amazon acquired Twitch in a surprise deal that allows Twitch to maintain some autonomy. Amazon has acquired Twitch, ending months of speculation about Google courting the video streaming company. 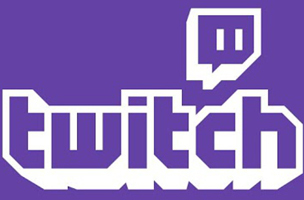 The purchase is for approximately $970 million, and the deal will reportedly allow Twitch to retain its autonomy. That said, Twitch has been making changes recently, perhaps in anticipation of the acquisition. While I recently contended that Twitch silencing copyrighted content may have been to line up with YouTube, the point still holds for Amazon. Big parts of Amazon’s business involve the sale of copyright content through direct download, so Twitch’s decision to protect intellectual property rights makes sense. “Like Twitch, we obsess over customers and like to think differently, and we look forward to learning from them and helping them move even faster to build new services for the gaming community,” said Jeff Bezos, CEO of Amazon, in an announcement. Amazon certainly has a history of supporting young companies, especially through AWS. While the acquisition may seem unexpected, Amazon is a premier web services provider, and Twitch has experienced growing pains. Both Twitch and Amazon seem to be winners with this deal. Twitch gets a much beefier infrastructure and better tools to work with, and Amazon’s large marketing and sales engine could have an ideal target in Twitch’s younger audience. The only issue could be that a hands off acquisition sometimes isn’t quite so hands off.